Loyalty Points are a way of managing points earned when buying products or services and making payments using points that have been earned. 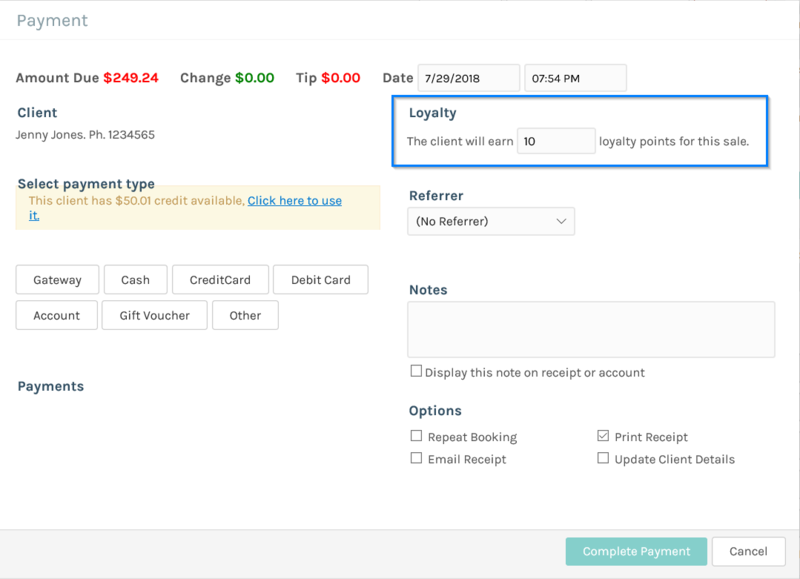 In the Loyalty Points Details section of the service details enter the number of points that someone will receive for purchasing this service and the number of points required if they pay for this service sing earned points. 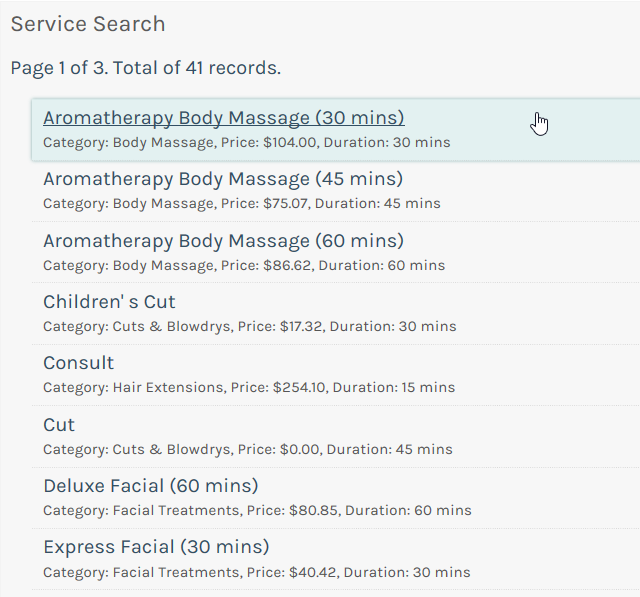 Click the Save button and to save the details and return to the services list. You can then repeat steps 3 and 4 for any more services you wish to set up points for. You can also set up points using the same steps for Products. Once you have performed a sale through the Sales screen and clicked the Complete sale button the payment screen will be show. The number of points that will be earned in this sale will be displayed. 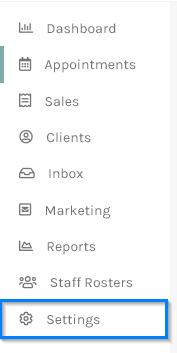 On the clients details screen you can also see the total number of points that the client has accrued and not used. 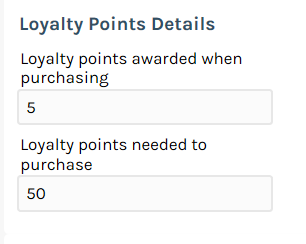 If you wish the perform a sale and pay with points, from the payment screen after completing the sale click on the Other button. This will then give you the option to select points. The number of points that are required and the client has available will be displayed. When the sale is complete you can you back into the clients details page to see the points balance has been lowered and the financial history will show that they paid with points. That's it :) Loyalty Points made easy!